I’ve found there is a great need for those facing anxiety and depression. As a School Counselor with a specialization in Stress and Anxiety Management, I see many students look for help in these areas but sometimes with little success. Most doctors know little about this prevalent issue and many seek years of help before finding it. I myself have experienced severe panic attacks and depersonalization disorder. After getting through what felt hopeless at times, I’m here to provide information, hope, and a comprehensive approach. I’m in 6th grade. I get in the car with my mom to go school. As the ride begins - this ‘thing’ happens. I feel like...I don’t know, something isn’t right. I guess I am not sure who or what I am in this moment. I’m scared. I look at my mom, the world around me, not really sure what it all is. Whatever my life is, I think to myself, I won’t be in it long. Something is definitely wrong with me. I don’t say a word to my mom and just pretend it didn’t happen. In a few minutes, I was back to my normal self. Glad that’s gone. I’m a junior in high school. Night. As I lay down in bed, there “it” is again. I am freaked out, just don’t know what’s going on. I step out of my room and look over the balcony at my parents below, who are still up watching television. I feel weird, I tell them. They do all the parent things - check my throat, feel my forehead, etc. They are concerned, but don’t know how to help. I’m 27 years old. Something is terribly wrong! As the day begins on a mission trip in Costa Rica, my heart is pounding, sweat emanates from my palms. It like it’s all - not real. What is this?! Am I in a video game? Am I going crazy? What is this consciousness that I have? I am trapped in my own body. I’m maybe just as terrified to ask for help. But convinced I am going to die, I tell the leader of our group that something is wrong. I go to a doctor, get prescribed an anti-inflammatory or something like that, then meet back up with the group. Whatever is going on, there’s no more pretending it doesn’t exist. I’m 30 years old exactly. I arrive at the emergency room the night of my birthday, October 14. After hours in the waiting room, not sure I would live to see the doctor, I finally get to tell him what happened. I was exercising in the park. All this came over me - couldn’t breathe, out of body experience, rapid heartbeat, it’s like a nightmare. Doc says “Test results are good, you’re a healthy young man.” What? Not possible! “It looks like you had a panic attack,” says the doctor. Panic attack?? I mean...really? So….what do I do now? “I’d go see a therapist,” says the doc as he walks off leaving me in my in my blue gown. The next morning, it all begins. I would go on to do it all: read dozens of self help books, saw five different therapists with little effect, completed programs like Landmark Education and a 12 step, became a member on websites about anxiety and depression, even began counseling others as I started to understand my illness. It would get better and much worse. While I am still struggling, I had made progress and want to help people suffering from the same thing. I begin a YouTube channel talking about anxiety (and relationships). I take calls, emails and video chat with people around the world facing panic attacks, DP/DR (depersonalization/derealization), and just general anxiety. This is a big problem, and people need help, but family, doctors, and everyone else seems to know nothing about it. I'm not sure how to exactly go about it, but it's a start. I thought I was done with it all?!?!? Did I really get anywhere or was it all in my mind? Not only did I experience depersonalization this time, but also felt depression, which was unbelievable. Everything I had felt before was multiplied by 10. Not able to function, I immediately flew home to be with family. But what could I do? I had to go through it all again, had to face it. I accepted it, went back to my coping tools and strategies, and gradually worked myself into a manageable state. Today, I still have some symptoms of DP/DR and anxiety, but it doesn’t bother me. And despite it, I am truly thriving. I understand the reasons behind the anxiety, panic attacks, DP/DR and everything that goes with it. Mountains that seemed impossible to climb have been scaled, bit by bit. Will I experience it again? Possibly. And I’m mentally prepared. Since my worst episode, I’ve earned a Master’s Degree in School Counseling, obtained a professional job, became a homeowner, got engaged after a wonderful two-year relationship, and have significantly improved loving relationships with self, family and friends. I’ve even learned how to let go and "have fun" as they say...not easy! I can't take any credit, really. Rather I attribute others, programs, resources and a little luck for these successes. 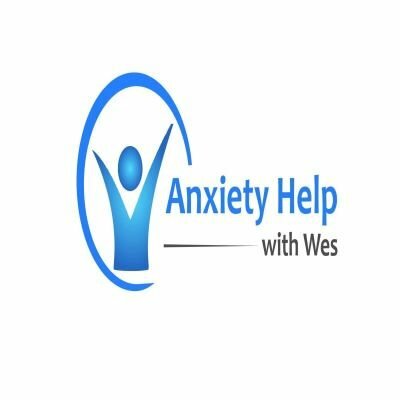 Launched podcast Anxiety Help With Wes! 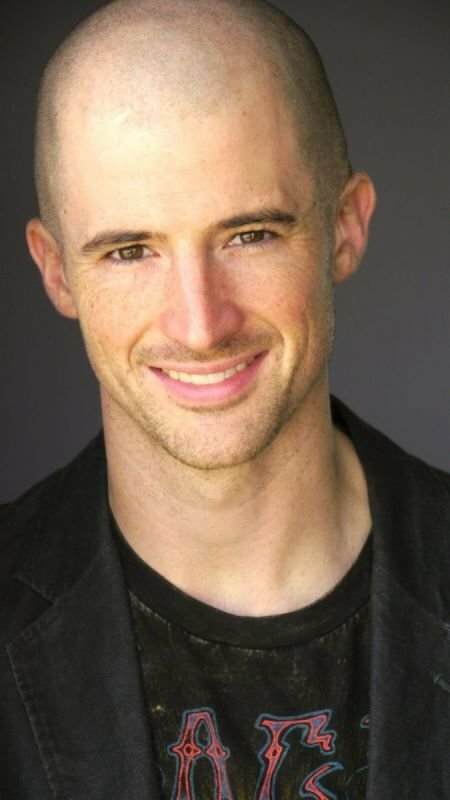 Hey Wes, how can you help me get through my anxiety, DPDR, and/or panic? Well I know it very closely (see timeline). I offer structured meetings in a 3-course process to help you move through anxiety. I incorporate tools and techniques from a number of successful, field-tested programs. Certified Stephen Minister, one-on-one counseling for someone going through a crisis. Read 70+ books on anxiety & personal development (Daphne Simeon, Dale Carnegie, Viktor Frankl, David Dieda, Susan M. Campbell, Jim Rohn, etc.). *Please note that I am NOT a LPC (Licensed Professional Counselor). What if I just want to talk about my feelings? While there are benefits to traditional talk-therapy, it’s not effective for anxiety. I want you to move through this stage in your life and that’s why I’ve created this 3-course program. Could you tell me about the courses? The goal is to stabilize, educate, and provide a response to panic. I teach an easy, 6-step process to panic and depersonalization. And it works. A powerful ‘response sheet’ is provided to assist in this process. Additional lessons focus on symptoms, calming techniques, Tony Robbins 3,3 & 3 (gratitude, intention, and meditation in 10 minutes), writing exercises, identification of focus, a self-talk format, and how to use humor. The goal of course 2 is to discover the root of anxiety, and remove it. We complete a full inventory of fears and resentments in a spreadsheet. You are again provided with a powerful ‘philosophy/how we think’ sheet. Additional lessons incorporate “The Work” by Byron Katie, daily writing, how to use prayer (no religious affiliation required), and completion of up to 100 awareness-based questions. The goal of course 3 is to develop a structure and environment to provide lasting results in the future. We may focus on skills like goal-setting, time-planning, assertiveness, social, coping with existence, weight loss, understanding and managing money, etc. Whatever the issue or interest, we work together to identify a structure and environment for success after our working relationship ends. A powerful ‘response sheet’ is yet again provided for battling negative thoughts that may stop you from achieving your goals. Much of this format is designed by author Viktor Frankl and his philosophy of “Logotherapy” which focuses to ‘finding meaning’ in one’s life. What if I already know something you want to teach? We skip it. My goal is to provide you with the tools you need. Stop paying me immediately! Then keep moving forward and you’ll get there. And you will get there. I absolutely love helping people with their anxiety and panic. And because I have recovered from it myself, I am uniquely qualified. I also have an entrepreneurial flare and consider myself to be creative, so the development of a curriculum, website, podcast, etc. are enjoyable challenges for me. I really enjoy working with kids and teens, which is why I am a School Counselor. If you are a minor (18 or younger), I must get signed permission from a parent or guardian. What if I ain’t got the money? Money can often be a source of anxiety and hiring someone to help can make it worse. You do not have to coach with me to get through your anxiety! While I have developed a program in which I am confident, there are TONS of low-cost and free resources. Check out my resources page (page link here with books, etc.) or my podcast. New clients can receive a full-refund after their first meeting if they are not satisfied, no questions asked. Please reach out with any questions/comments you may have.